Students and staff at two Vancouver French-language schools who have not provided proof they have been vaccinated against measles have been sent home and will only be allowed to return if there are no new cases by March 7. Some 33 students and staff at two French-language schools at the centre of a measles outbreak in Vancouver have been ordered to stay home because they haven't provided proof of vaccination. Vancouver Coastal Health says there have been eight confirmed cases of measles at Ecole Secondaire Jules-Verne and Ecole Rose-des-Vents. Spokeswoman Tiffany Akins says both schools had documented measles vaccination rates that were around 70 per cent before the outbreak. 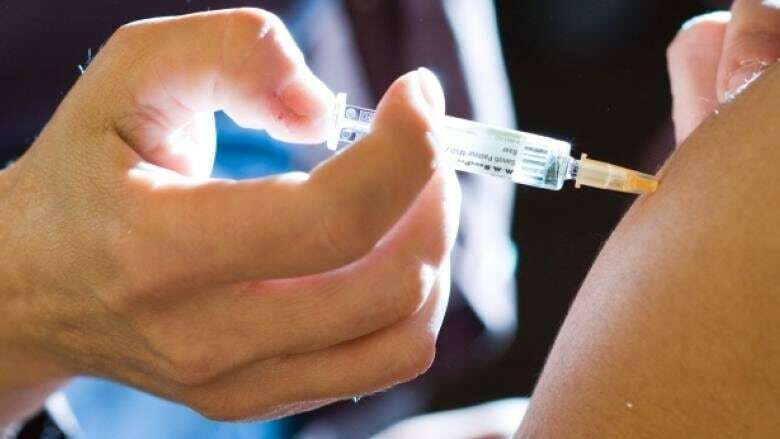 She says the health authority's staff were able to confirm the vaccination records of more students in light of the outbreak, bringing the rate up to around 95 per cent. But she says the 33 students and staff who have been sent home have either been unable to provide this documentation or are still refusing to vaccinate. Akins adds that the individuals will be allowed to return to the schools if there are no new cases of measles at the institutions by March 7. To stop the spread of the disease, health authorities estimate 92 per cent of people must be vaccinated. This creates what health officials call herd immunity. But according to data from Vancouver Coastal Health, there are plenty of schools within its region that do not meet that threshold. According Vancouver Coastal Health data, vaccination rates for the measles within its region range from 89 per cent in Vancouver South to 74 per cent in the city's centre. At some schools, like East Vancouver's Grandview Elementary, the immunization rate is just 57 per cent. The numbers are based on parents who have reported their childrens' vaccination status to health authorities. Helicopter parenting: Does it work? And at what cost?